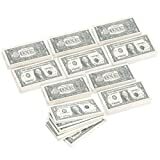 Sure to cause a few concerned double-takes when wiping mouths or placed under drinks, these cool new Filthy Rich Money Napkins are fun cocktail napkins designed to look like $100 bills. A great way to put your money where you're mouth is and add an extra splash of extravagance to any party. 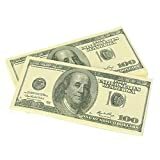 Each pack only comes with 12 napkins, so if you plan on having a huge soiree, you better plan on coughing up a few real bucks.